We reckon we're on safe ground when we say that the re-emergence of the small, hatchback-derived saloon has been one of the more unexpected automotive industry developments of recent years, and much of the credit for the re-popularisation of the booted hatch sector can be laid squarely at the feet, or rather the wheels, of the RS3 saloon. Those fortunate enough to own an example of the booted RS3 8V MQB will no doubt be glad to learn that the model has just been added to the Milltek Sport range of performance exhaust systems. The latest version of Audi's premier hot hatch, the 8V RS3, remains one of the most capable performance cars on sale today. Immense, near 400bhp levels of performance are paired with classic, sure-footed Quattro handling, all wrapped up in a typically refined and understated body. It's a compelling mix and one that's enabled the RS3 to find countless thousands of homes, but there's always room for improvement – hence the expansion of the Milltek range to accommodate it. Milltek's latest exhaust offering for the 8V generation can be specified in the firm's customary, open-ended manner, giving buyers the freedom design the system best suited to their requirements. It begins with a choice of core systems, either a large-bore downpipe and de-cat (a product intended for the race/track market), or a large bore downpipe and high-flow sports cat. Milltek also offers a further option, one aimed at those buyers seeking to enhance both the sound and performance of their RS3, a secondary catalyst bypass. It fits both OE and Milltek cat-back systems. The Milltek Sport range opens with a duo of non-resonated cat-back options. While still completely legal to use on the UK's road network, non-resonated systems will be significantly louder than those mentioned below, able to emit a suitably aggressive exhaust note. Both options consist of a front silencer bypass, a rear silencer with HollowTek Technology (one which re-purposes the OE electronic valves), electronic valve motors, wiring adaptors, a pair of trim connecting pipes, and a choice of oval twin tail pipe options; Cerakote black or polished. Those RS3 owners seeking a quieter, less raucous exhaust note would be well advised to consider Milltek Sport's other cat-back options, both of which are resonated. Again, the two options consist of beautifully designed and manufactured exhaust components, namely a front silencer assembly, a rear silencer with HollowTek Technology (one which re-purposes the OE electronic valves), electronic valve motors, wiring adaptors, a pair of trim connecting pipes, and the tail pipe options outlined above. Obviously the Audi RS3 is a highly desirable, wonderfully designed and manufactured car, one that demands that any aftermarket product bolted to it be at least as well engineered as the OE equivalent, and the Milltek Sport cat-back exhaust more than delivers in this respect. Not only is it made from high grade steel and to exhaustive standards, the Milltek silencer delete system has been proven to offer subtle increases in both power and torque, plus a soundtrack that really does need to be witnessed to be fully appreciated! G-WERKE will be exhibiting the latest from Recaro, Schroth Racing and BBS. Be sure to stop by and say hi. For for details on the event, check out their website. 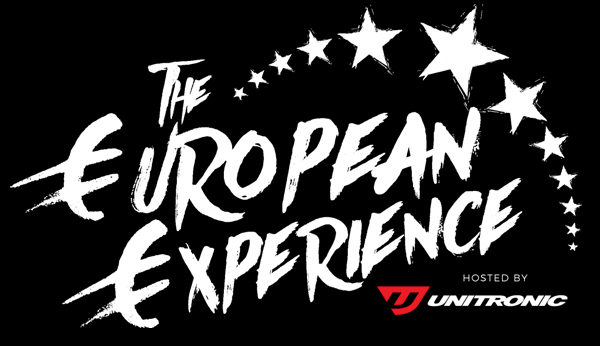 The G-WERKE crew will representing @ European Experience with our partners from Milltek Sport. Stop by to see the latest products from Milltek (including all-new B9 S4 systems) and test your skills on Milltek's racing simulator for a chance to win big!